Moving from Sydney to another state? We can help you! 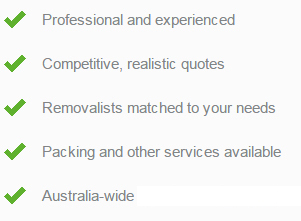 Our network of quality interstate removalists is sure to make your move convenient and easy. We are a team of experts and only deal with companies with relevant expertise in the field of interstate removalists. We work hard to make your moving experience a stress free and remarkable one. So whether it’s packing services or organizing your move or taking charge of all of it, we are the right company to do all of this for you. Based on your individual needs, our Interstate Removalists Sydney team will help you pick the best interstate removal company to do your job. We have a list of experienced removal companies, when a customer contacts us with a query we make all the efforts to carefully choose the best options and provide the customer with comparative quotes. The customer has the advantage to choose from the various quotes offered and presented to them. All the interstate transfer companies we work with are industry professionals and deliver high quality services. We ensure we only work with the best! 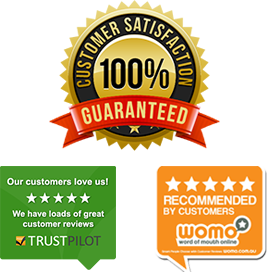 This service of providing comparable quotes is absolutely free for our customers. Along with this, we also provide our customers with various other specialist moving services. We ensure we help our customers save time, money and heaps of effort! We understand that relocating can be difficult and so we extend our full support in making it a great experience. Reliability and trust are our two major priorities and we ensure the same for our customers. All the interstate removal companies we work with are checked for quality based on industry and customer feedback. We have been helping people move for over 10 years – so we know who the good interstate removalists are. We help you organize, plan and move from Sydney to another state much easier than if you did it yourself! If you are confused about choosing from the many removal companies around you, we will help you make the right decision.